Chris and Bryan met in Okoboji, IA at the Inn Resort in the summer of 2003. Bryan, a banquet manager, and Chris, a bartender from Texas, had a conversation about their love of BBQ. Fast forward to a 2010 BBQ competition in Winterset, IA with Chris’ backyard offset smoker, the two decided BBQ was in their future. Locally owned and operated, they hit the ground running in October of 2017. 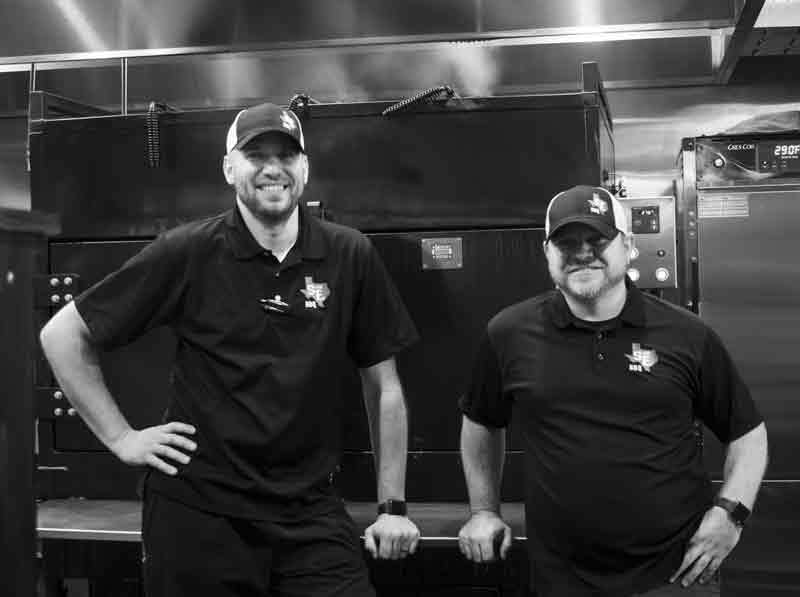 Their mission is to serve the best BBQ in the DM metro one plate at a time and to bring traditional Southern-style BBQ to the area — 100% fresh, smoked for the day, NEVER reheated, full-bodied smoke flavor. Join Chris and Bryan for a one-of-kind, TRUE BBQ experience. One where you can actually see and smell the smoke rolling out of their custom smoker, as it slow cooks your favorite BBQ. Scratch homemade sides are the perfect complement to the sliced-to-order meats. ShortE’s offers fast counter service for those customers who have limited time during the lunch hour and table service starting at 2PM, with a full bar, happy hour, and evening specials, for a more relaxed dining experience in the evening. We also offer a full catering menu, as well as custom menu and pricing options. Come in or call, get comfortable, loosen your belt, and get ready for a BBQ experience you won’t forget!